My daughter loves Sesame Street. Out of all of her toys, her absolute favorite is the vintage Little People Fisher Price Sesame Street house, complete with all the characters, that used to be mine. She literally gets hours of entertainment out of it nearly every day. 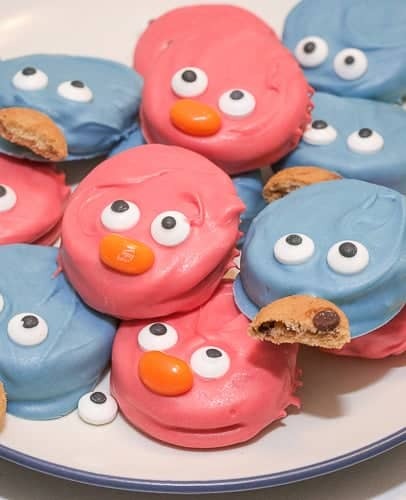 So, when I came across this photo on Pinterest, I knew that she would get a kick out of having her very own cookie monster and elmo cookies. I already had some candy melts and food coloring on hand. So, I just had to grab a few extra things at the store, and I was ready to go. The first thing I did was melt approximately half the bag of candy melts in a bowl according to package instructions and add blue food coloring. 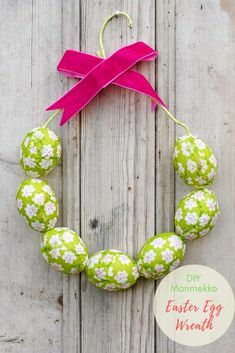 (You will need liquid food coloring for this. The gel type will not work.) You can also buy blue candy melts, which will give you a deeper, richer color. I decided to just go with what I had on hand, though. Then, I dropped an Oreo cookie into the chocolate. Using a plastic fork, I turned the cookie over and made sure both sides were coated with chocolate. Again, using the fork, I transferred the cookie from the bowl to a sheet of wax paper. Then, I added candy eyes, and a mini Chips Ahoy. I placed an extra candy eye underneath the mini Chips Ahoy to help hold it in place, while the chocolate dried. If I were to make these again (which I probably will), I would probably go with Double Stuffed Oreos. I think the mini cookie might adhere better if the Oreo was a bit wider. 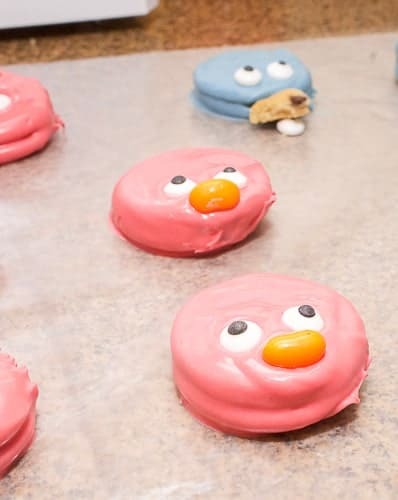 Then, I repeated the process for Elmo, except I used red food coloring and an orange jelly bean for a nose. My grandchildren were big Elmo lovers. 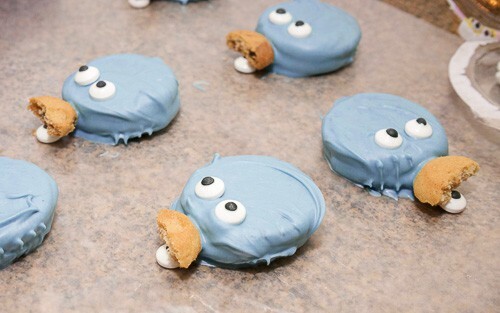 These cookies are adorable. 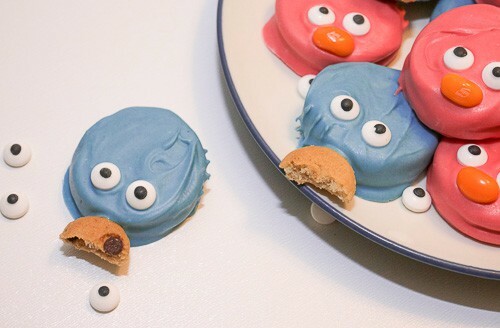 Perfect for a Sesame Street Birthday or week-end treat. Thanks for sharing on Sunday’s Best. Thank you! 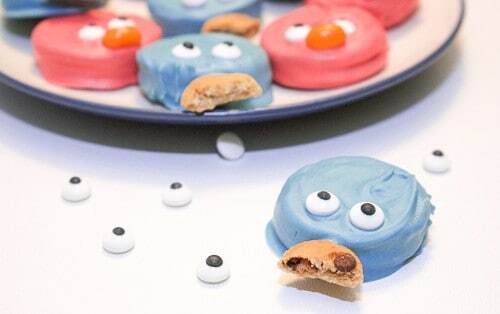 Elmo is definitely big around our house, and these are so easy to make. 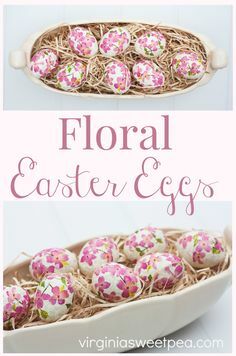 Thanks for taking a look and for hosting every week!